BCU Star Awards - assessments! 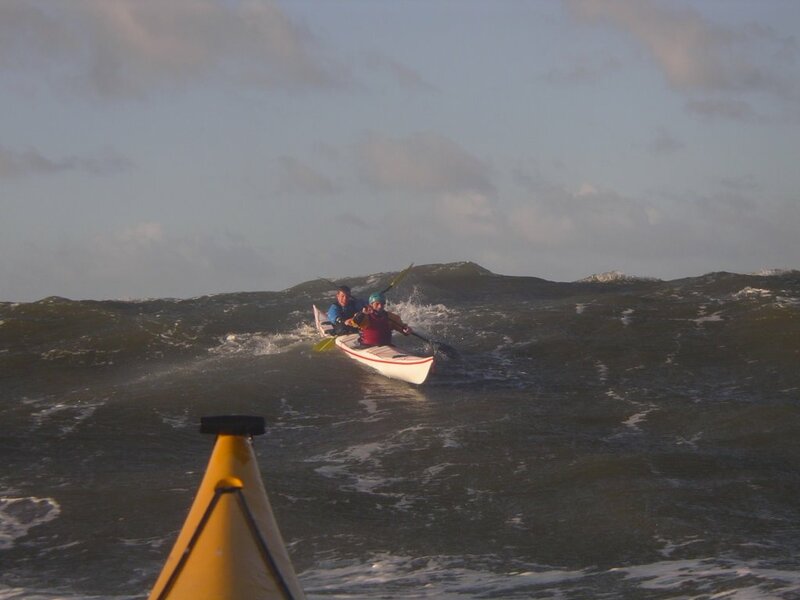 After winds reaching Gale Force on Saturday Evening, Sunday was decidely calm on the lea shore, with the winds down to a gentle F5, and Port St Mary Bay a delight to paddle across. 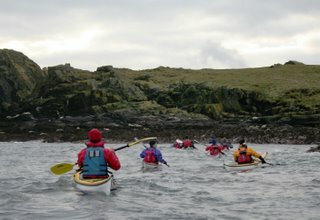 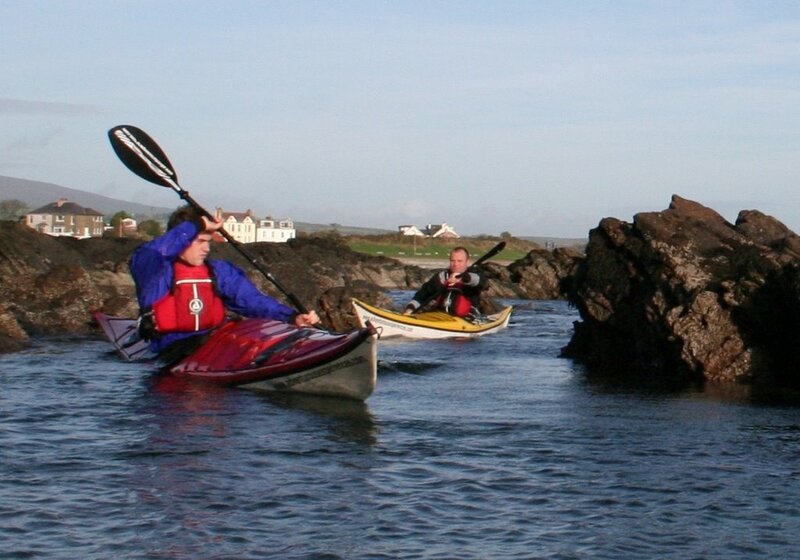 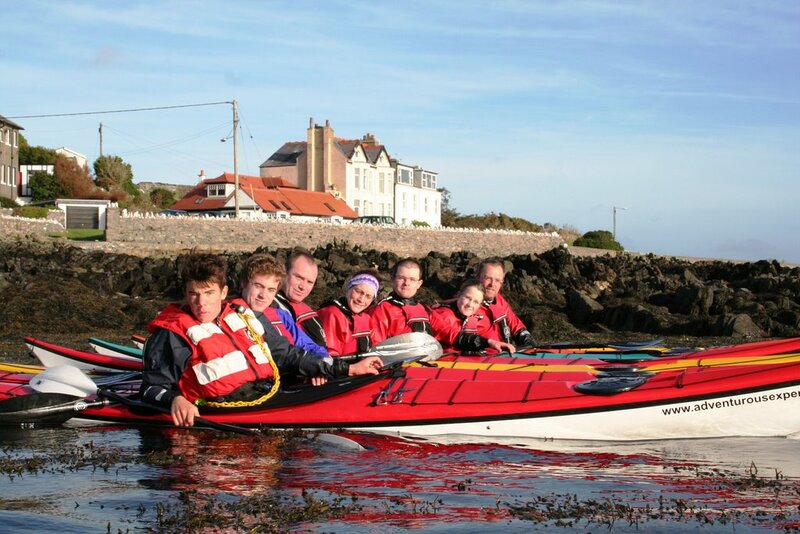 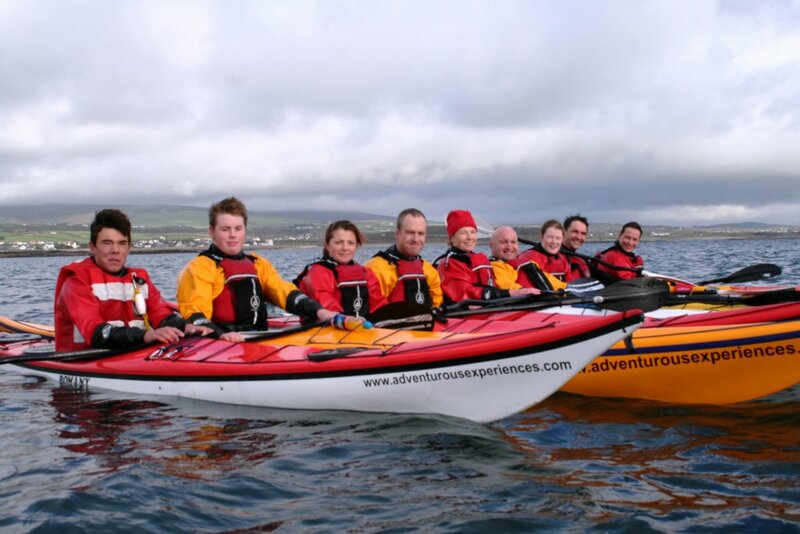 Group A, (seen here), paddled downwind to Carrick Rock, then on to coast for a break before the paddle into the wind back to the slip. Having practiced their core skills during the rest of the 8wk course, this final session was a trip, giving the opportunity to show the assessor how well they could use those skills, and have a great workout whilst doing so! 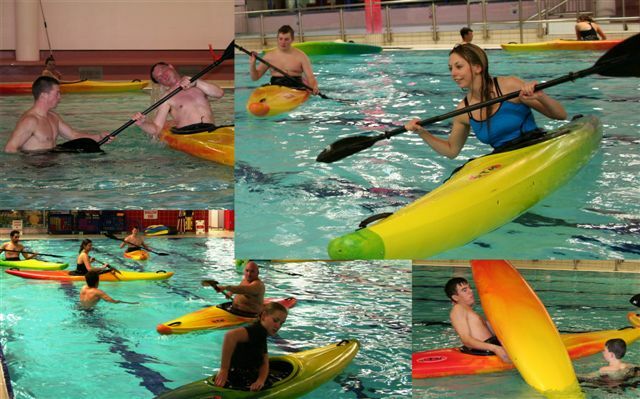 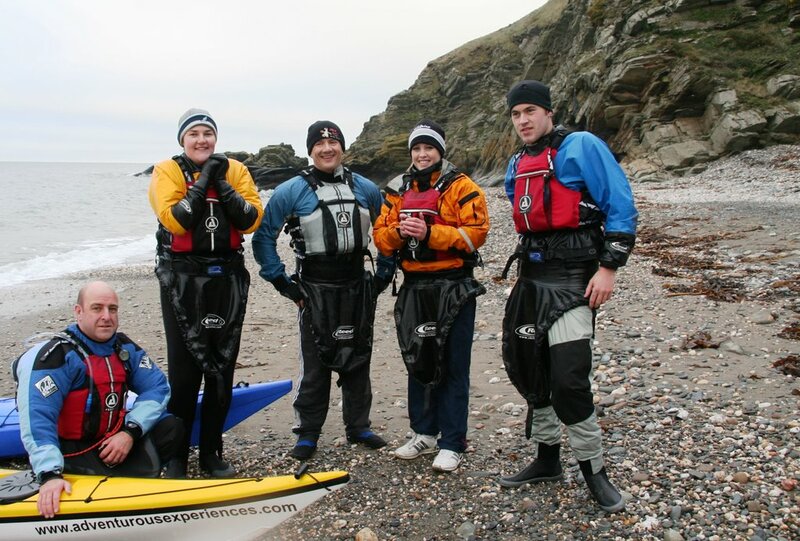 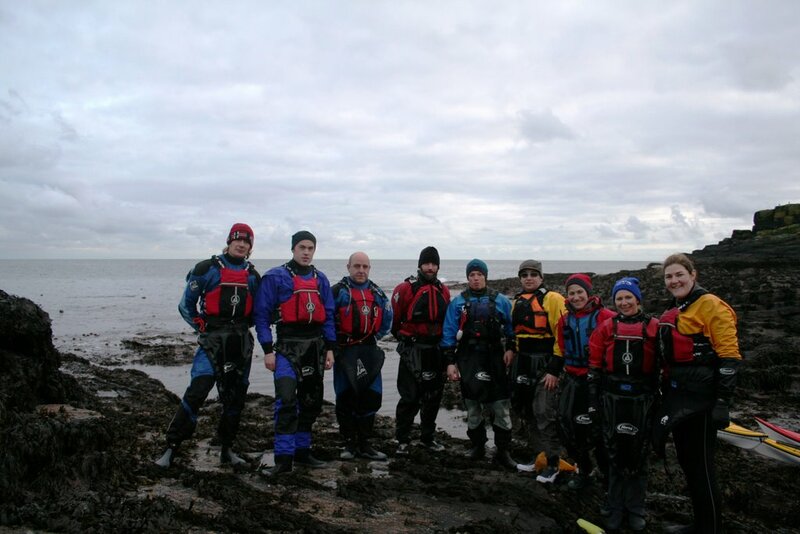 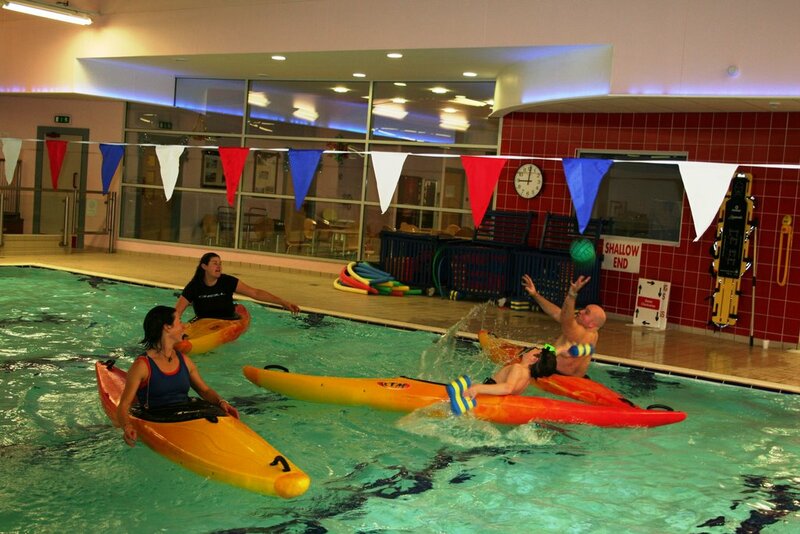 Well done to: Frank Crompton 1*, Kirsty Forbes, Kev Turnbull, Steph Lewin and Seba Thompson 2*, Darren Self, Chris and Jan Gledhill 3*, Jan and Chris also completed their Canoe Safety Test! 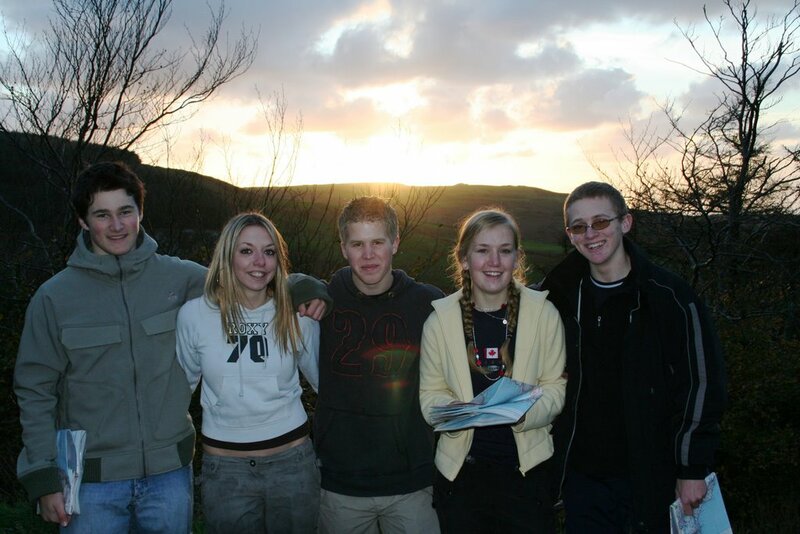 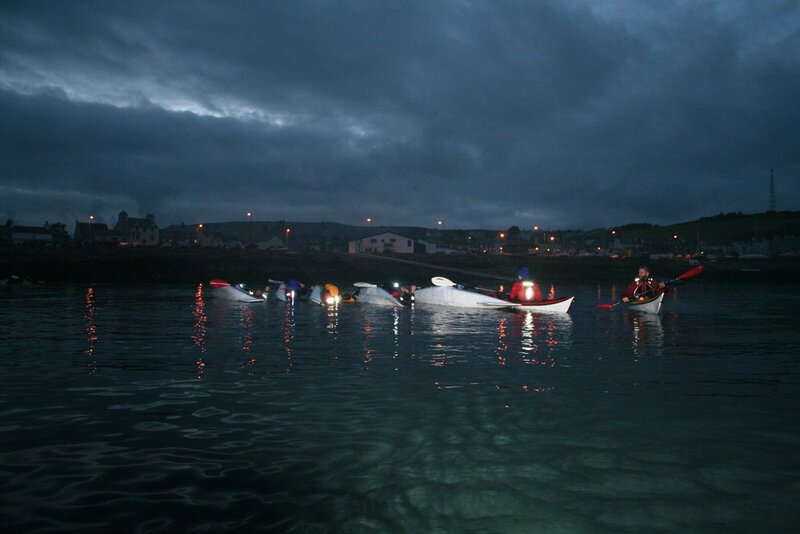 Group B found the wind had had increased again, and stayed within the shelter of the coastline. 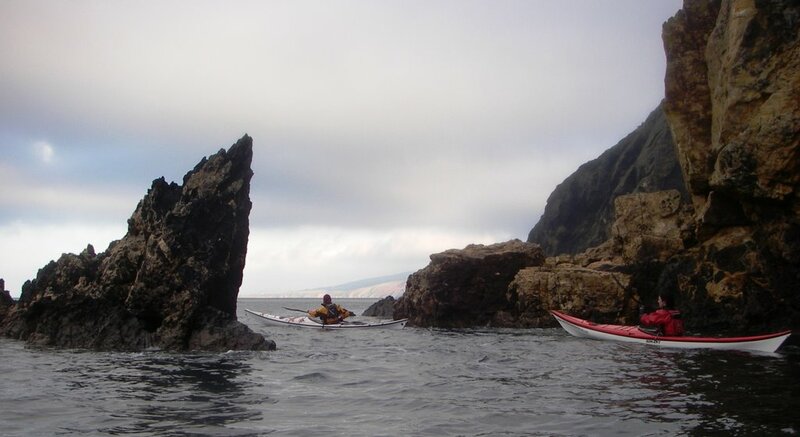 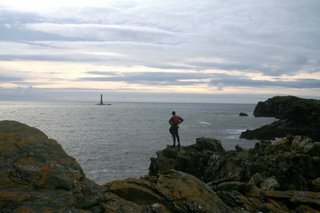 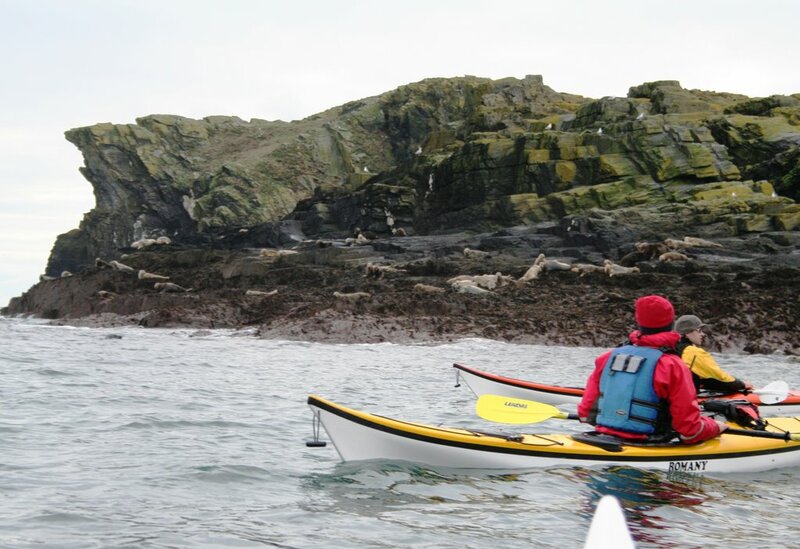 Meandering around the rocky coves, perfecting bow rudders, edging and rescues. 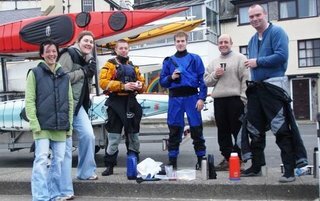 Congratulations to; Sacha Holder 1*, Clive Wilcox, Emma Cilcox, Nick, and Martin Dycher 2*, John Keggin 3* John and Martin also completed their Canoe Safety Test. 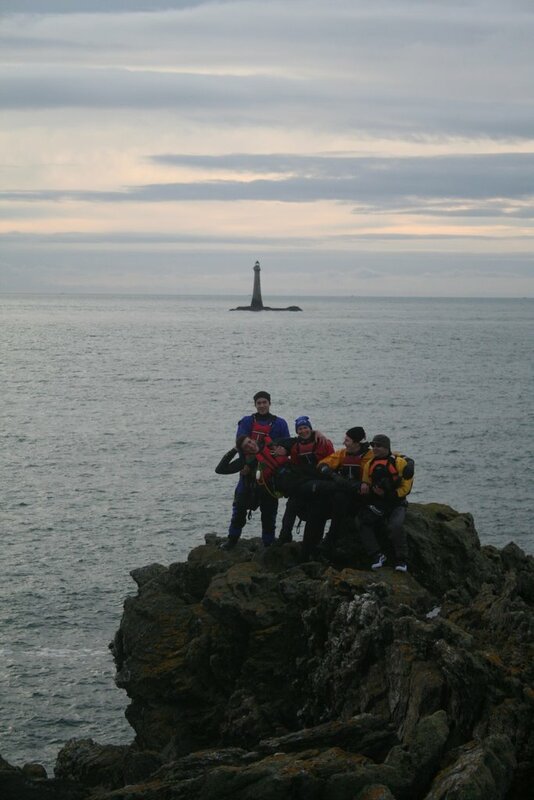 The Vancouver Is team together during the Hill Navigation Training at Arrasey plantation today. Well done George on your roll, Joe has been raving about it all day! 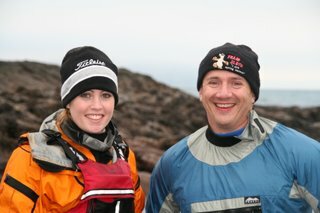 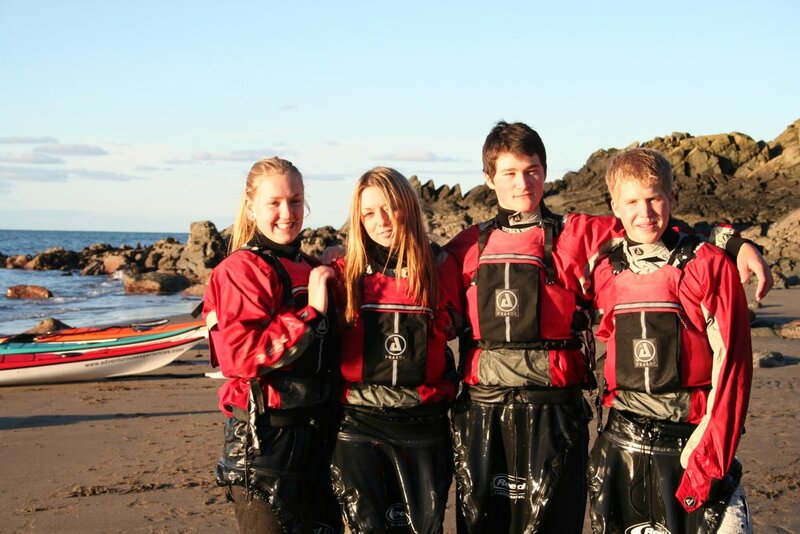 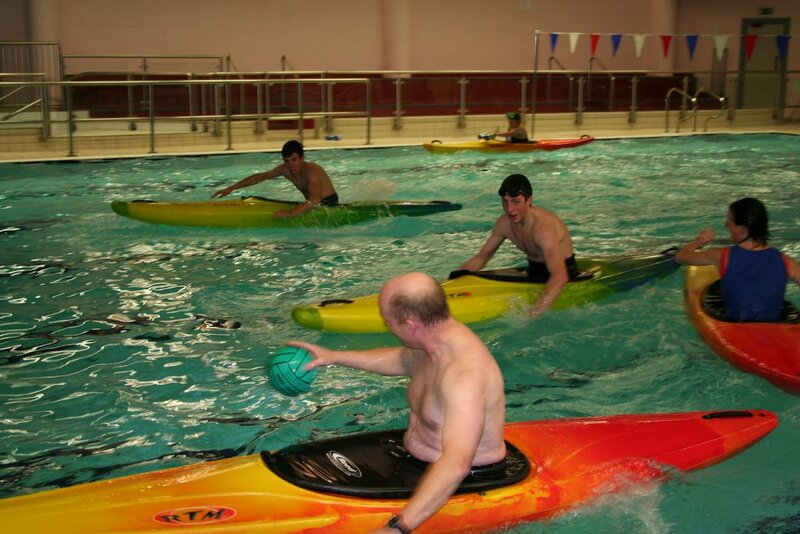 The team training for Vancouver island next year are looking hot, can't wait to see you guys on the next sea session. 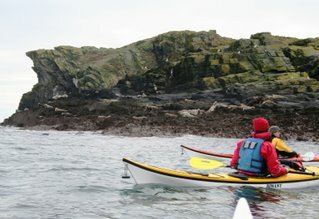 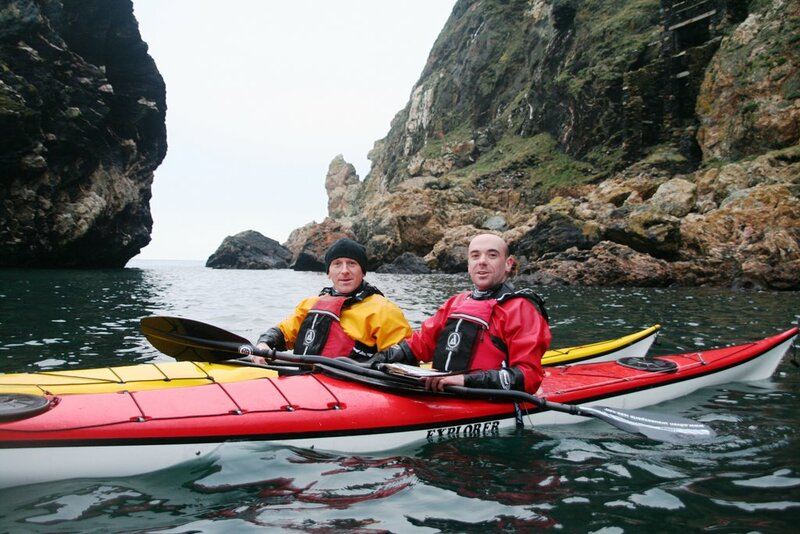 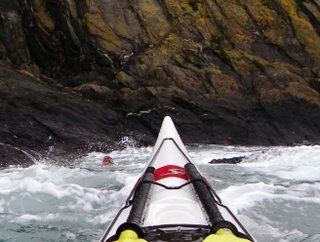 The only session Adam's missed since training began, turned out to be a cracker, with a pleasant paddle from Peel to Glen Maye and back. The group started training in June this year, and are well on course for Vancouver in July 07. 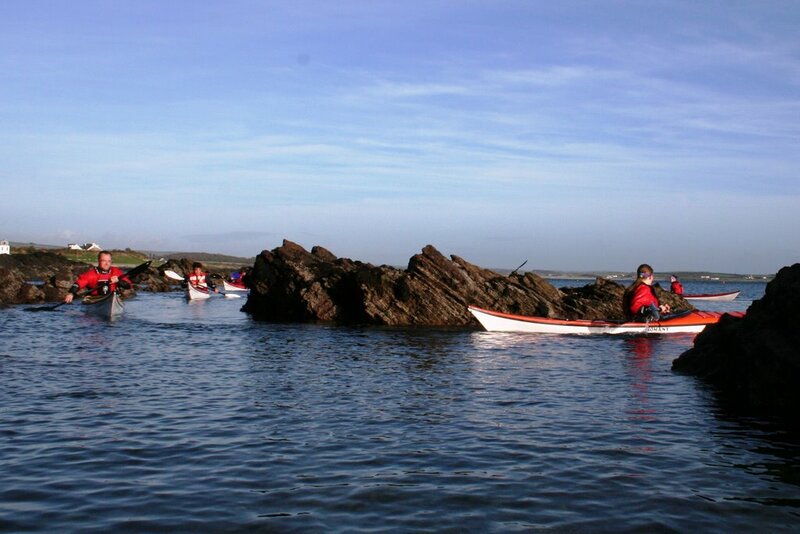 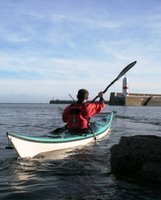 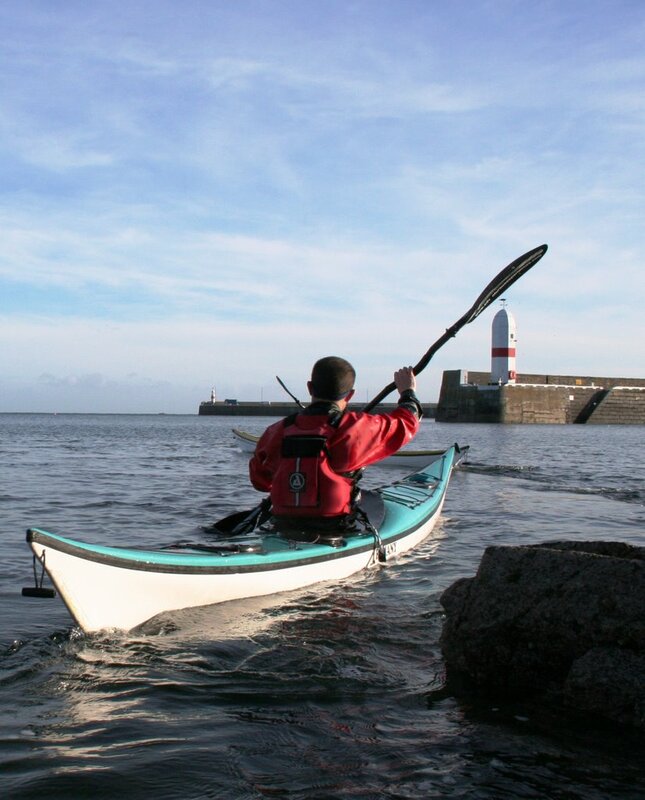 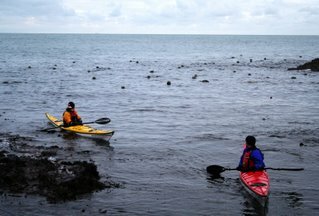 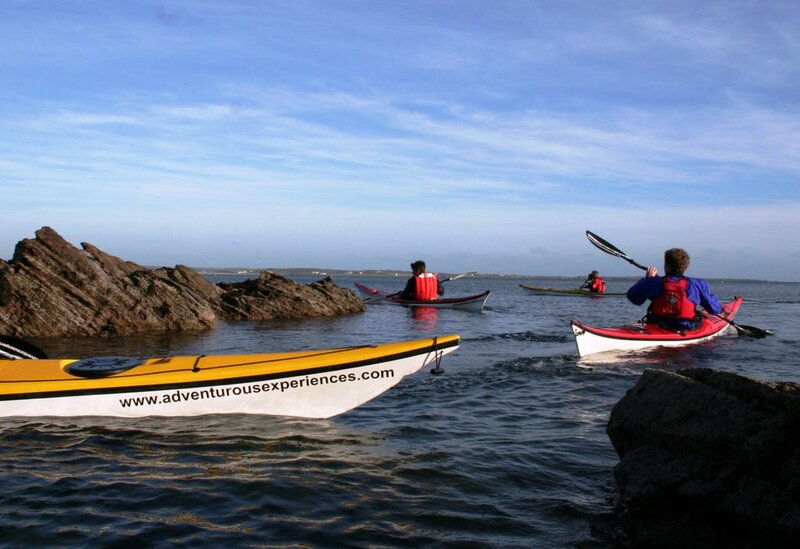 Paddling from Port St Mary. The last skills sessions before the 2* and 3* tests next Sunday. 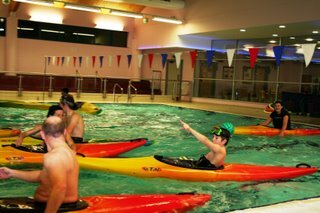 Morning and afternoon sessions (8 wk course - groups A and B) ran through the core skills, concentrating on recovery strokes and braces. 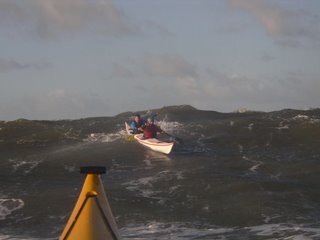 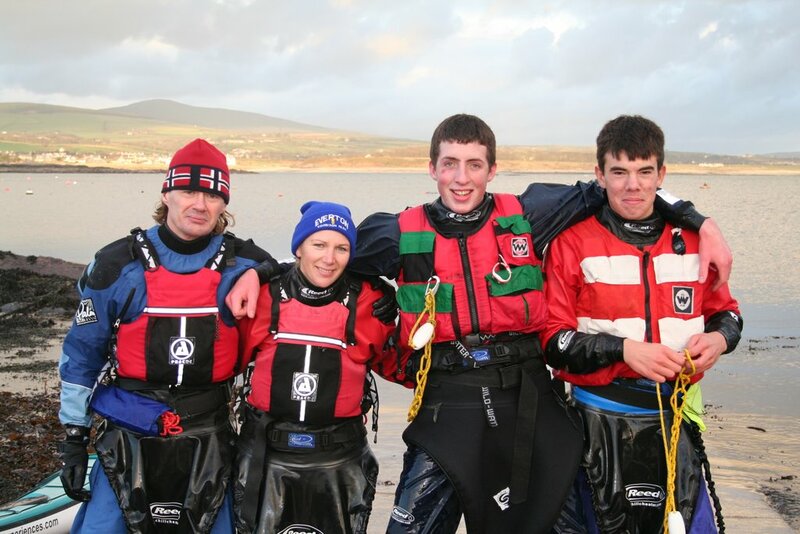 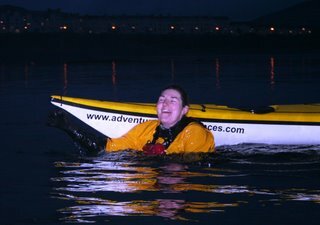 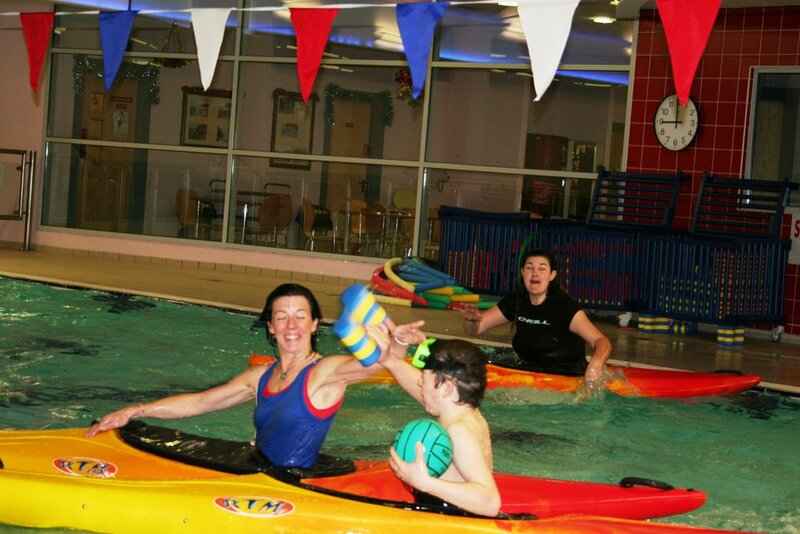 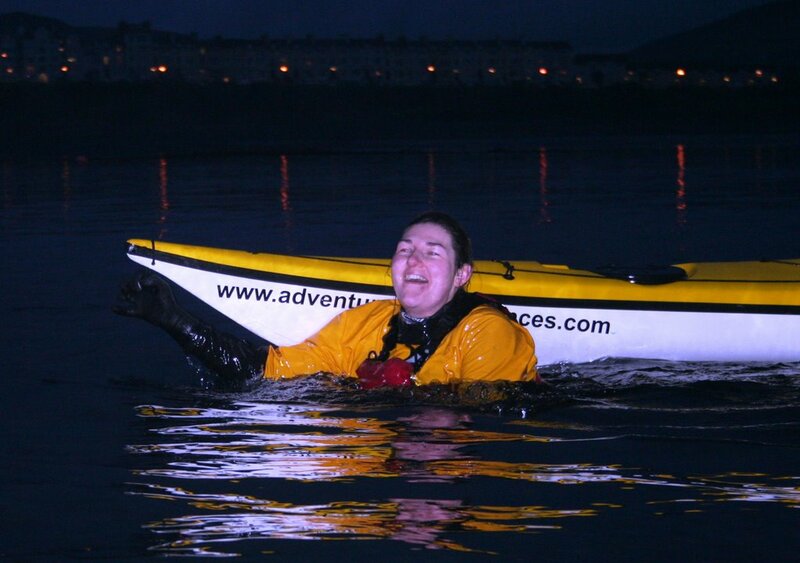 The Intermediate session worked upon high brace and recovery, rescues and forward paddling. 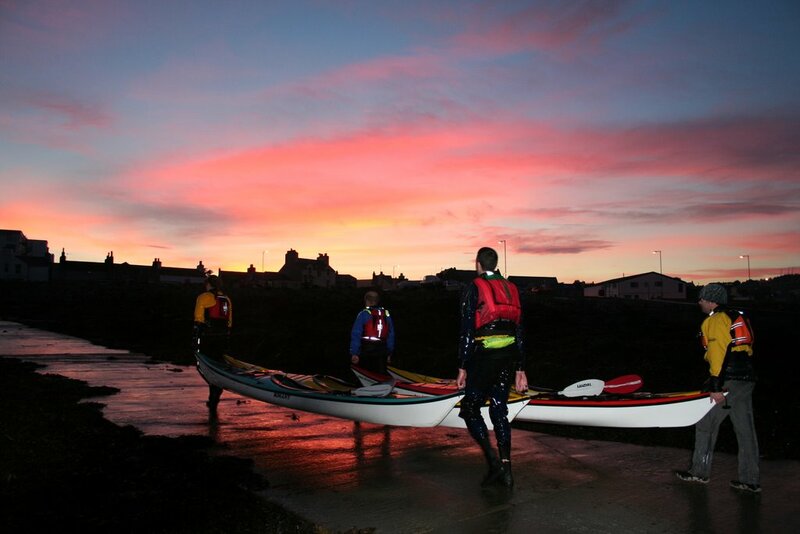 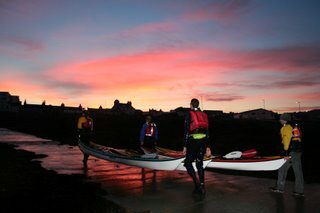 Finishing with a paddle round to Perwick Bay to watch the sun go down, returning to the slip as the sky became a spectacular display of crimson streaks on the soft blue background, gradually fading as we racked the kayaks on the trailer. Doubt the fireworks later will supass that display.